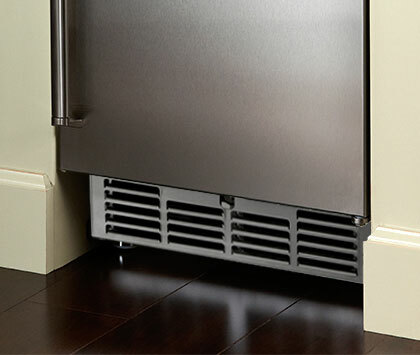 The Perlick H50IMS has redefined the residential undercounter ice maker market. Since their inception in 1917 in Milwaukee, Wisconsin, Perlick has evolved into the premier supplier of refrigeration and beverage dispensing equipment in the industry. Perlick equipment can be found in restaurants, hotels, stadiums, theme parks, breweries and the finest homes worldwide. Made in the USA, Perlick residential refrigeration products have clearly set the bar in luxury home entertaining. Measuring a mere 15 inches wide, the Perlick H50IMS-R Clear Ice Maker can create up to 55 pounds of crystal-clear ice in a single day (and stores up to 22 pounds), fulfilling even the most generous home entertaining needs. The distinctive top hat shape of each cube is more than just attractive: the shape is part of Perlick's method in ensuring that each cube is absolutely free of impurities, for a flawless look and taste. This unique shape also prevents the ice from clumping, guaranteeing that you always serve your guests with the perfect beverage every time. Perlick's Residential Ice Makers are constructed to be built-in with a seamless look to any home decor. Approved for indoor and outdoor use, and built to perform and provide the best experience for you, your family and your friends. Appreciate the test and value of a good drink, right from the comfort of your home. Designed with unrivaled technology to produce ice that is absolutely free of any impurities while giving your beverage a shine. 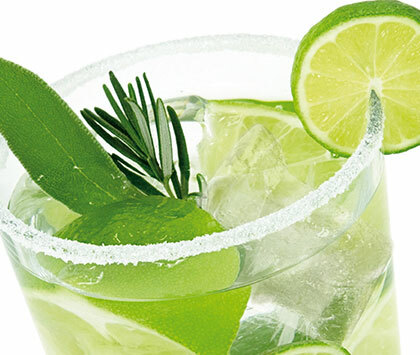 Fresh and chilled, these clear ices emphasize the drink's flavor. 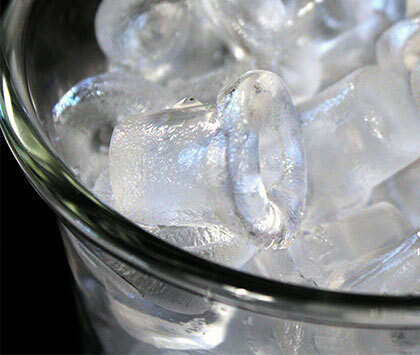 Perlick's Clear Ice Maker produces unique, top hat-shaped ice cubes that is pleasing to the eye. The ice melts slower than other ice cubes allowing you to enjoy your drink without it quickly getting watered down.